Southern Belle by Scotty McCreery is a country song from the album Southern Belle - Single. The single reached the Billboard Country Airplay chart. The official music video for Southern Belle premiered on YouTube at the beginning of November 2015. 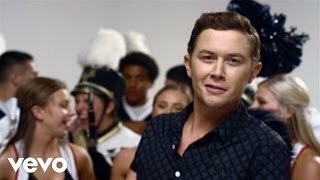 Listen to Scotty McCreery's song above. Scotty McCreery's Southern Belle lyrics were written by Sean McConnell and Jason Saenz.